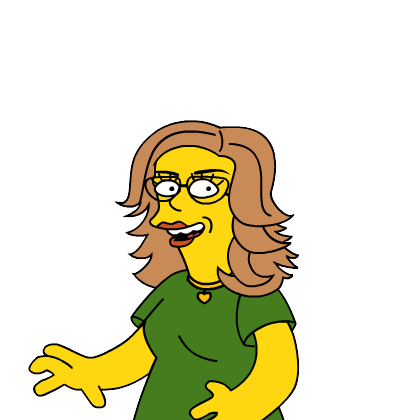 Thanks to Duffy at FiberQat, who thoughtfully provided this link, I’ve been Simpsonized. I’ve never thought that yellow was my best color. Matt Groening grew up in our lovely metro area, and it’s common knowledge around here that Springfield is actually . . .
Yeah. I know. You thought I was going to say Springfield, Oregon. But I saw an interview with Mr. Groening where he admitted that a lot of the inspiration for Springfield was a little closer to home. But I do believe that Springfield, OR should have won the rights to host the opening night. I mean, really! The theory that inanimate objects demonstrate hostile behavior against us.